What Is the Average Life Expectancy of a Propane Tank? The life expectancy of propane tanks varies on the size and use of the tank. Proper care and maintenance can also extend the life span of a propane tank. Propane tanks, also known as cylinders or bottles, come in different forms. They can be used as fuel sources for cook stoves in the home, gas grills outdoors or in RVs and campers, portable fuel supplies for motor vehicles and heating sources for the home or hot water. 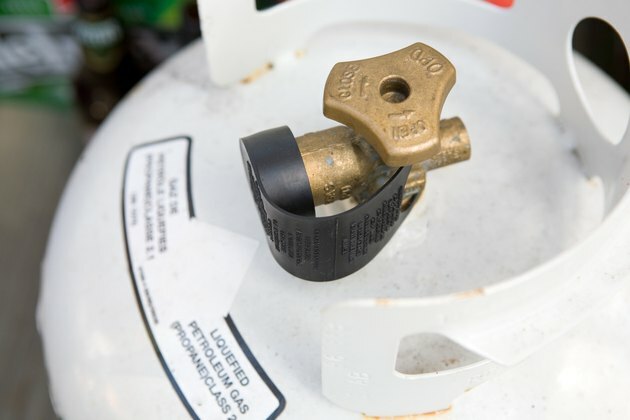 Propane tanks can be used for heating homes, as hot water heaters or for cooking on grills or camp stoves. For heating, the average use is 6 to 8 gallons per heating season. Gas furnaces powered by propane have an average life expectancy of 18 to 20 years. The average use for hot water heating is 300 to 400 gallons of propane per year. For cooking purposes, the average use is 70 gallons per year. Propane tanks installed underground have an average life expectancy of 20 to 30 years. Soil type and whether the tank was installed properly are the main factors in determining the tank's life expectancy. 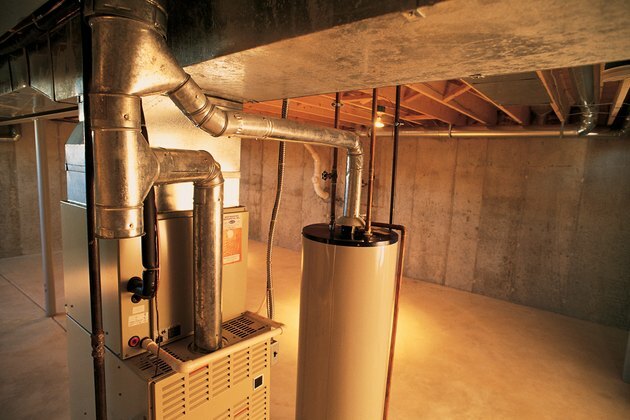 Home heating: Replacing the filter on your furnace monthly can improve the furnace's efficiency. Cooking: Ensuring there are no gaps or leaks in your oven's door can reduce the amount of heat that escapes. Water heaters: Your hot water usage can be reduced by installing flow-restricting shower heads in your bathrooms. 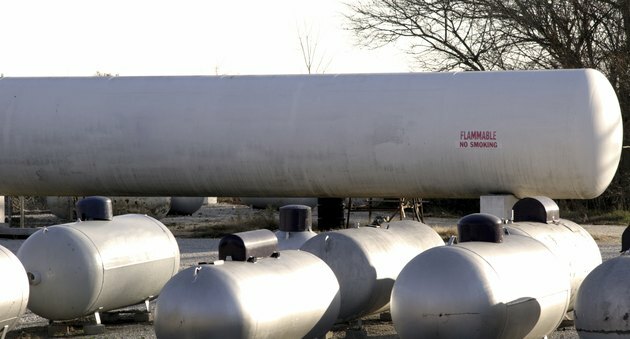 General maintenance: Keep propane tanks in a location where they will be safe from bangs or dents. Propane tanks must be recertified 12 years after their manufacture date and every five years thereafter. This recertification must occur before a tank can be refilled.